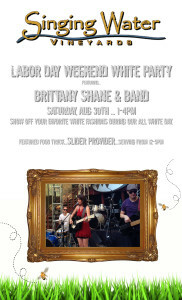 Singing Water Vineyards Dress In White Party this Saturday! 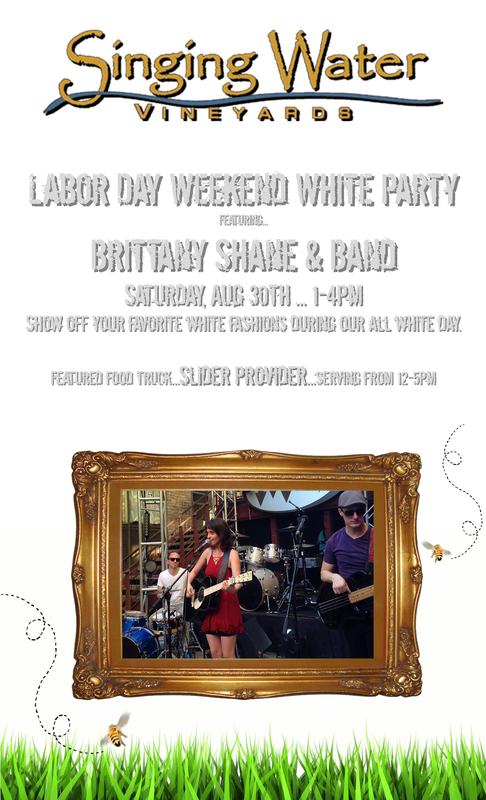 I’m excited to play the Dress in white party at Singing Water Vineyards in Comfort, TX this weekend. Interested in seeing how the band boys dress up for this one:) I’ve got my white Rickenbacker guitar ready! There will be food there and so much fun. If you have not been to comfort, tx, this is the time to go and see this beautiful, charming town. This entry was posted in news on August 26, 2014 by Brittany.